God, I hate that word. But so be it. I sold a bunch of my laser discs to a guy and it turns out he is using them as art. Wall hangings, to be precise. You can actually buy frames for this specific purpose. I wonder how "The Toxic Avenger" is going to look. Seems like kinda a waste of technology. I mean laser discs aren't going to "wear out" if you play them. Although I guess at only 425 lines of resolution and 60 minutes (max.) per side, they're pretty completely obsoleted by DVDs and BDs. I mean, I used to keep my clear vinyl / clear lyric sheet / clear cover Faust first album in a frame on the wall, as well as my copy of Curved Air's "Air Conditioning" (the very first picture disc LP ever made), but that was only because playing them would reduce their value. They were not obsoleted by DVDs and BDs. They were obsoleted by the distributors who didn't see a big enough market in them. 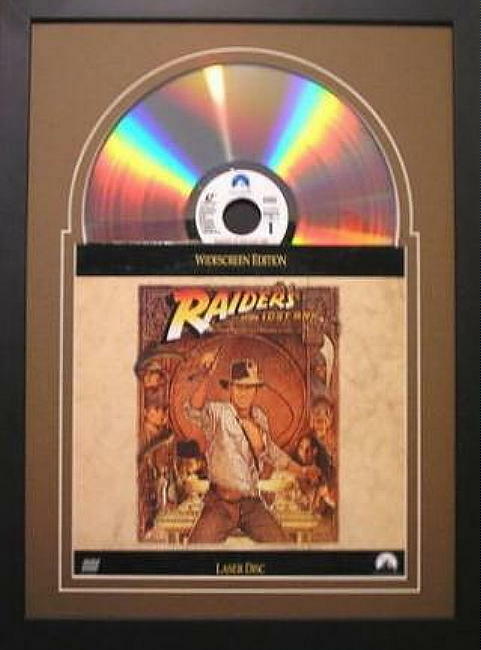 Then when no new releases were available, the LaserDisc died. Given a choice, I would prefer the LaserDisc. I have no desire for extra crap, and I really hate having to sit through a bunch of warnings and menus. With a LaserDisc, you put it in the player and the damned movie started. That's all I want. There were some LD-only releases which have since become valuable: the unfucked-with Star wars, and here's a great long list of 65 others. Players can be had for well under $100 and the discs I've seen in stores go for between 25¢ and $5. If it wasn't for the crap resolution of the picture I'd consider getting a player myself. But I'm spoiled with my 4K HD-DVD player.